Lee Suk-hoon of SG Wannabe has released his first solo album in four years and five months. 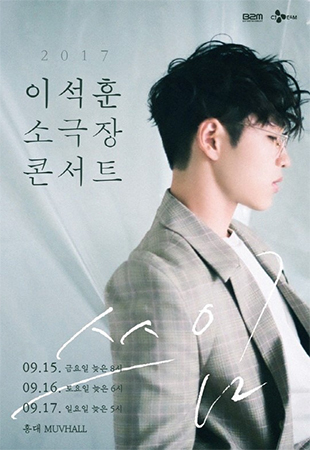 To celebrate the release of his brand new album and to give back to the fans, he will be holding a concert titled “Use” at MUV Hall in Hongdae from September 15 to 24. The artist said rather than making music that follows the latest trends and is consumed quickly only to be forgotten easily, he wanted to make music that had a “use” throughout different moments of the listeners’ lives. Through the concert, Lee will be showcasing his new songs as well as other hits that he was unable to sing for his fans for a long time.